Founded in 2001, by the passionate father and son team of Morris and Shawn Kolman, Facet Engineering has established itself as the choice specialist of precision CNC machining, CNC milling and CNC lathes in WA. We have honed our skills tirelessly, familiarising ourselves with the industries most advanced techniques. For CNC milling in Perth that you can depend on, contact us today. Regardless of what you are manufacturing, CNC milling services will ensure that the final product is made to measure and will match the exact measurements in the CAD or CAM file. The machinery employed has a vast range of capabilities enabling it to cope with the challenges presented by virtually any project. When your machining is optimised, costs will also be lowered through enhanced precision, productivity and the reduction of material wastage, facilitated by greater accuracy during manufacture. 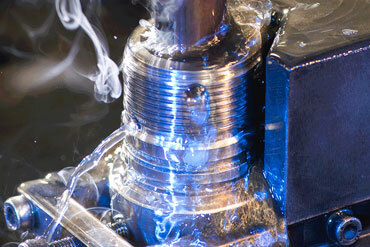 Our ability to deliver the benefits that CNC (Computer Numerical Control) machining offers is facilitated by our unique combination of equipment, expertise and the Facet Engineering CNC milling approach. Our full complement of staff consists of 10 dedicated and committed CNC milling and turning artisans in Malaga. They have been an integral driver of the high-quality service we provide, each operating off the back of extensive experience. Their commitment to you is unwavering, meeting your manufacturing needs with error-free products and fast delivery. Facet Engineering recognises and addresses each customer’s needs and demands with the same care and commitment as our first ever client. We inspect every component before, during and after the process to make sure the result is perfect.